I'll be out in about this weekend and my buddy will be too (Formula 311 & 242). Especially if you run up the back passage from Boothbay to the Kennebec and up from there. I saw quite a few formulas a baja and a sunsation this weekend. I was in a red/yellow fountain. Nice change from just seeing blow boats and lobster boats up my way! 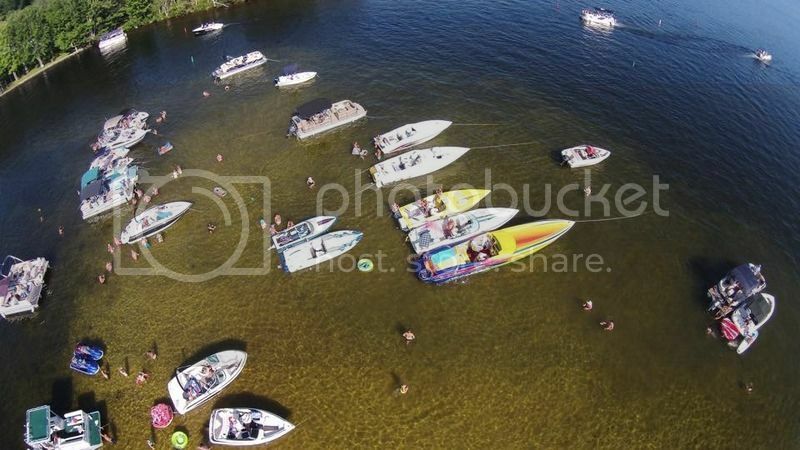 Quite a few of us anchored on Sunday up in brandy pond! What a great time! Did you make it up that way? I didn't make it to sebago area. The guys I saw were in the boothbay kennebec area. Hoping to make sebago one of these days! Looks like a great time! At the last minute I ended up towing my boat to Moosehead for the weekend so I wasn't around. It was a great weekend weather wise- nice and warm. Just curious if there is (or what it is) the clearance of the bridge between Sebago Cove (Muddy River) to Big Sebago ?